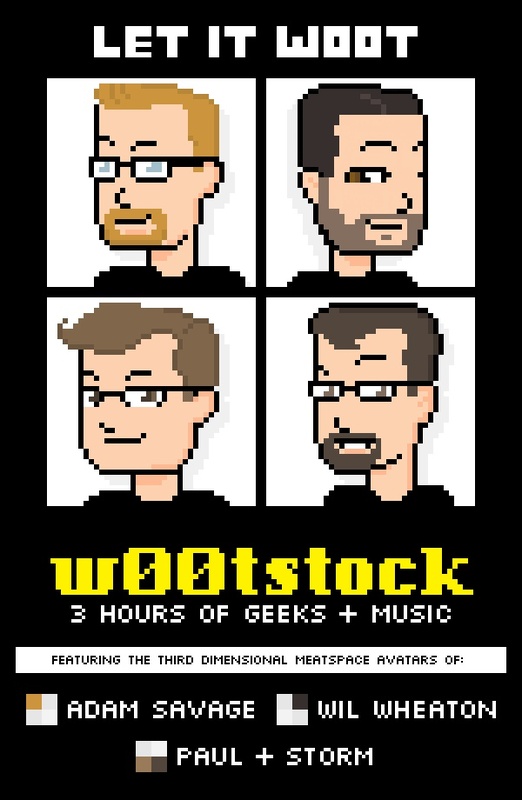 Attention Seattle and Portland: The LoadingReadyRun crew is performing live at w00tstock beginning this Friday! With talent nerds and geeks are sure to love, w00tstock 2010 will be nothing short of amazing. This weekend, the comedy geniuses behind the Escapist News Network, Unskippable and LoadingReadyRun will be performing live in Seattle and Portland with nerd-elites Adam Savage (MythBusters), Wil Wheaton (Star Trek: The Next Generation) and music-comedy duo Paul and Storm. If you're headed to the Friday show in Seattle, purchase tickets here; if you'll be hitting up the Saturday event in Portland, purchase tickets here. It will be epic.